One of the best ways to make sure all our subscribers and students see our latest content is to post it across our social media channels. During our 90 day challenge, we have a new video and post to share with you every day. We’re sharing all these tutorials on Facebook, Twitter, LinkedIn, and Google+. And before you roll your eyes, Google+ is still a relevant social media channel that offers more value than you may realize. The result is 360 social media posts in 90 days. In order keep up with and track all this activity we developed a simple social media sharing process. Here’s the process we use to make sure our latest videos and blog posts hit your social media feed on a daily basis. We develop an image in Canva for every one of our social media posts. Our image templates in Canva help us make this part of the process quick. Then, we compress our images using TinyPNG. Reducing the file size of our images helps keep our pictures formatted correctly for social media. It also makes our images easier to view on download. We research the best hashtag for each post. The search function on Twitter helps us find the right hashtags for our post and video topics. 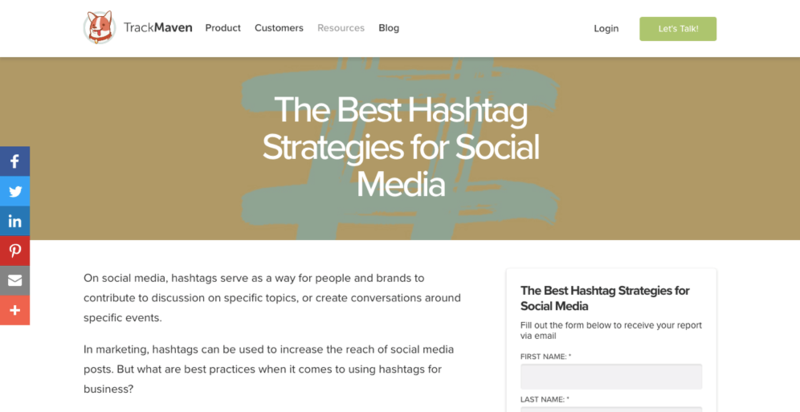 We also use RiteTag to find trending topics across social media platforms. TrackMaven helps us measure the performance and value of our social media posts. Using @mentions in our social posts has been the best way to get the word out about our Tools of the Trade reviews. We’ve seen a really positive response from sharing these reviews on social media. @Mentions are a great way to let others know you talked about them in your content. Most companies follow their social media mentions closely. Most companies have a Twitter account, but not everyone has a Google+ account. Unfortunately, sometimes there’s just no account or profile you can link to. Our message copy is usually just a quick highlight from our blog posts. We try to draw a balance when tagging our social posts. We don’t want to hashtag stuff our messages. But we need to add in enough tags for the post to be discovered. Buffer makes posting across multiple social media channels super simple. All we have to do it drop in our copy and image. Then, Buffer will automatically shorten all our blog and video links. 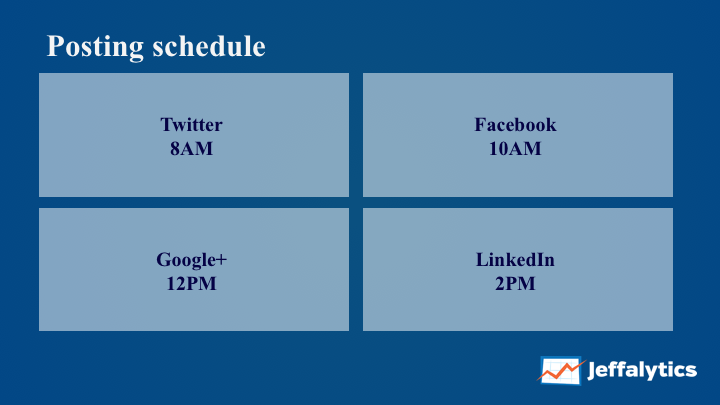 Next, we schedule our post to go out across our social media channels throughout the day. Below is a copy of our posting schedule. Buffer is a great tool, but is not perfect for every social platform! It has some quirks. For example, it can’t handle @mentions or hashtags for Linkedin and Google+. You can choose to edit these posts manually, but that takes additional time. Time we don’t have during our 90 day challenge schedule. Our focus is creating valuable video and blog content. When it comes to social media posting, we want to be consistent and efficient. Our primary goal on social media is to let our students and subscribers know when the latest videos and posts are live. The biggest reason to do the 90 day challenge was to see how much valuable content we could publish in 90 days. And people are starting to notice. This project has resulted in increased engagement across all our channels. We’ve gained likes, shares and new followers on a more consistent basis than we have in the past. That consistency has resulted in some new momentum as we passed the halfway point of the 90 day challenge. Our 90 day challenge has helped our team refine every process we use. Due to the size of this project, we don’t have time to be inefficient. This social media sharing process is simple and consistent. For this aspect of our business, simple is great. And simple will allow us to be consistent with our social media posting beyond the 90 day challenge. That’s our process for social media. It could use some more optimization, but those changes will have to wait until after we complete the 90 day challenge. What’s your social sharing process? Share your favorite tips and strategies with us on one our social channels. 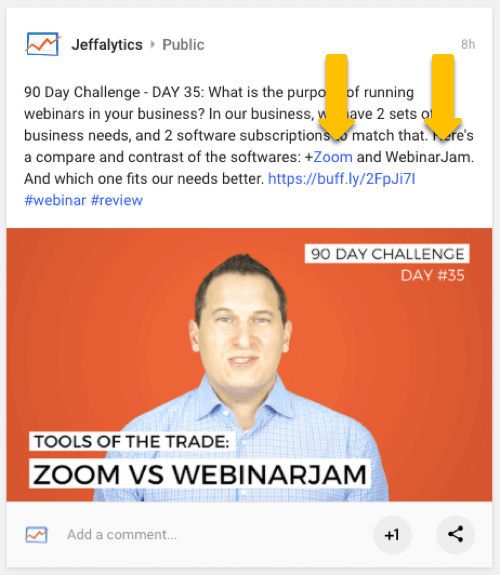 This post and video was episode 57 in our 90 Day Challenge digital marketing series.